by Andy Higgs in Denmark, Europe, Features, Home, Places. The penultimate stop on my intensive journey around North Jutland was the city of Aarhus. I know it’s juvenile, but I can’t help adding “..in the middle of our street” in my head every time I see that word. And of course that’s not the right way to pronounce it either, but there you go. Danish pronounciation is far from being one of my best-honed skills but it’s a little closer to “oarhoose” than the title of a worryingly ancient Madness song. 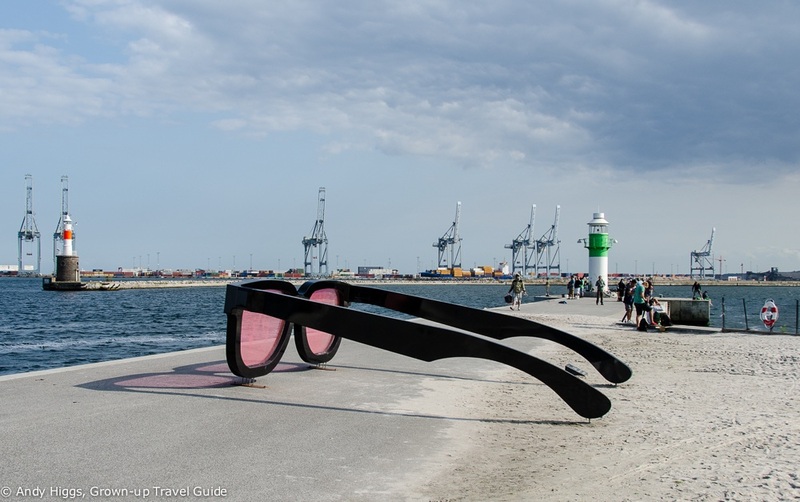 Enough of that – Aarhus is Denmark’s second-largest city and according to the notes in my itinerary is attracting an increasing number of travellers from the UK. Having daily flights from Stansted (even though these are with Ryanair) has been a big help but the city is working hard to promote itself as a laid-back destination offering great shopping and interesting historical attractions. Rather like Aalborg, I had very little idea of what to expect from Aarhus but in this case I did actually know someone who lives here – a Norwegian friend of mine from Trondheim. Mind you, we’d not sen each other in years and 99% of our communication has been about places we found ourselves in outside of Europe. 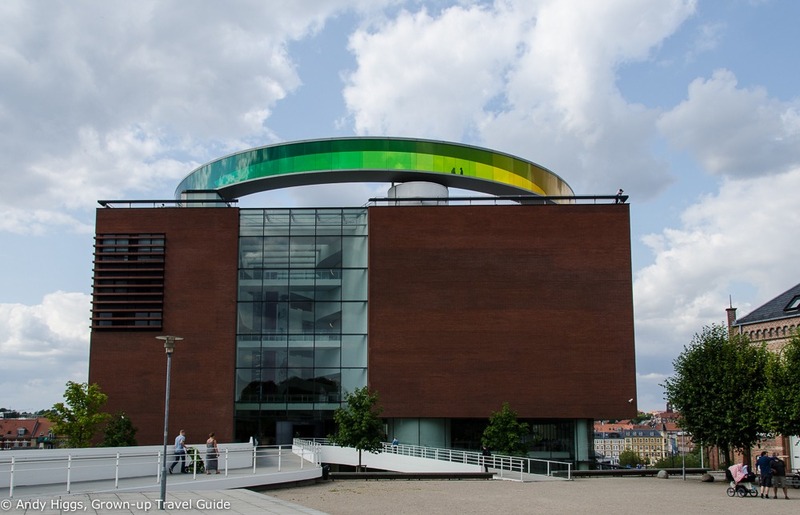 I had read about the ARoS art gallery, a huge building where the architecture is as much of a draw as the extensive collections and Den Gamle By (The Old Town) – a living museum that recreates Danish life during various stages of the country’s history. I also knew that Aarhus had been chosen as the 2017 European City of Culture. That, dear reader, was the extent of my knowledge. Having been wowed by Aalborg the day before, I was looking forward to seeing what Aarhus could offer. I had also detected a certain amount of rivalry between the two – both cities are actively chasing short-break holidaymakers from both home and abroad. 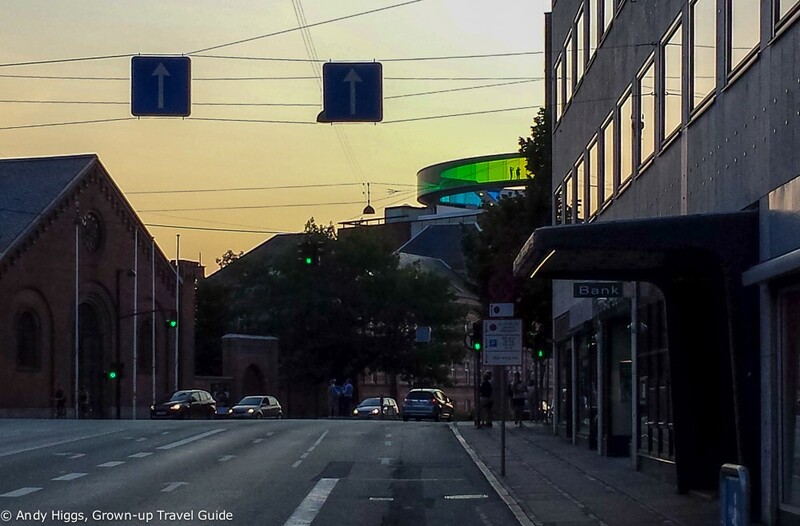 Once again my time was far too short – in fact Aarhus probably suffered the most from the breakneck schedule I was on. It’s quite a drive from Aalborg and much as I would have loved to take the scenic route I simply hadn’t the time as I had to be in Aarhus for a 1pm meeting. 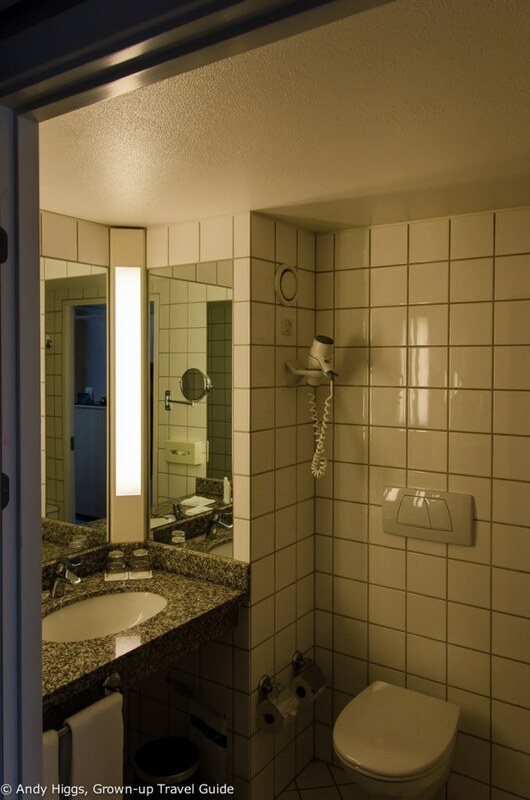 Even using the motorway I only just made it – I parked the car in the underground car park beneath the hotel where I was booked for the night and left my baggage inside while I found my way to the lobby where Anne Hubner from VisitAarhus was waiting. After going through the details of the activities she had arranged it was time for me to check in, and check out my room. 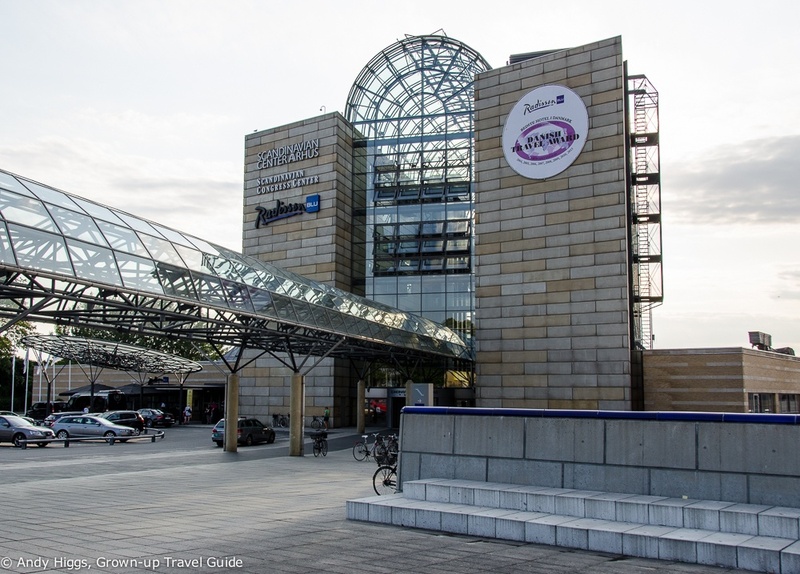 The Radisson Blu Scandinavia is part of the Scandinavian Center (sic) which is located in the centre of town just a few minutes walk from ARoS and the downtown area by the waterfront. It’s a typical Radisson Blu property like those found in many major Nordic cities – comfortable, well-designed and primarily used by business travellers. But this means that the rates are often low at the weekends and package deals can offer excellent value. Let’s get back to this, shall we? 🙂 I was staying in a Business Class Room; these are basically the same as the standard rooms in terms of size and facilities but with a few extras such as bathrobes and slippers, a newspaper and a larger working area. Oh and turndown service, if that appeals. I’d find it hard to justify the extra cost but each to their own. The bed was very comfortable and nice and big, there was a good amount of storage space and a bathtub is always a bonus. 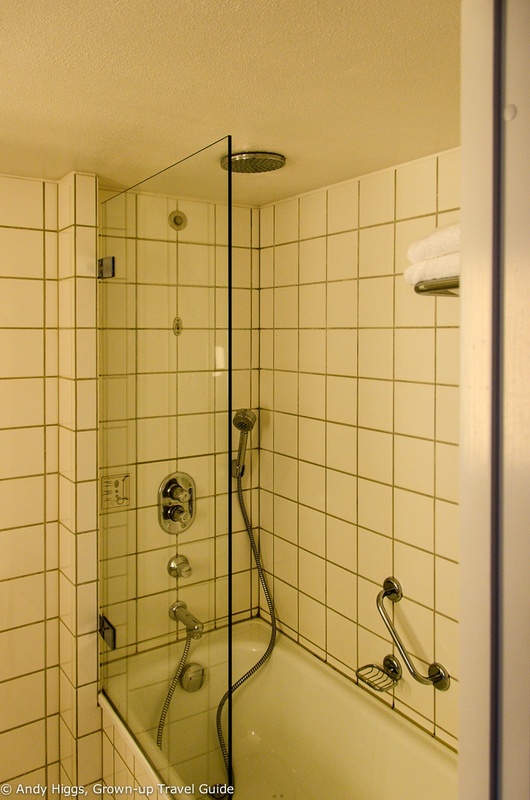 The shower pressure was good, too, and I like the toiletries that many Radisson’s provide from thisworks. Other amenities include a flat screen TV with a large number of international channels, mini-bar, Nespresso machine and laptop sized safe. Wireless internet is free and fast – what more can you ask for? Actually kudos to Radissson for being one of the first hotel chains to offer free internet access at all their properties. 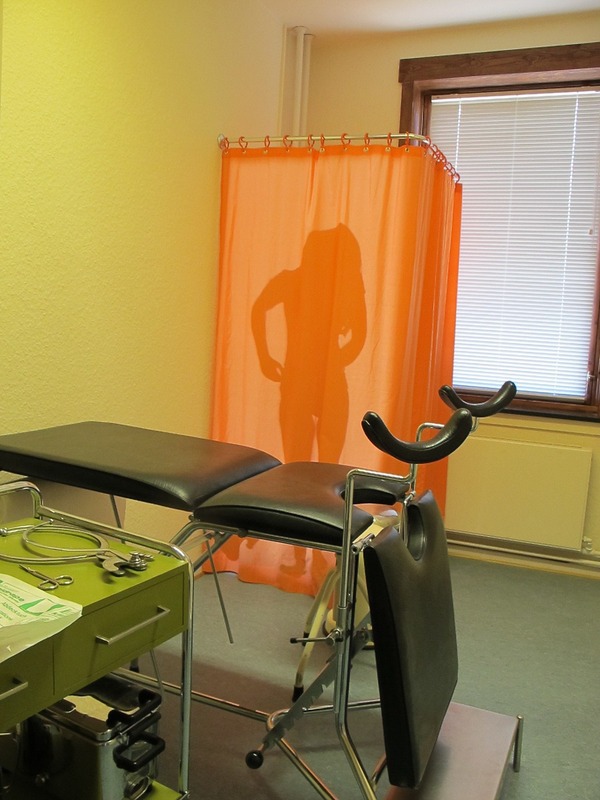 Guests here can use the health club in the same complex – for a DKK 75 fee. That seems a little steep; parking is also extra but that’s to be expected in a city hotel these days. You can hire a bicycle from reception too on a first-come, first-served basis. I took advantage of this to get around the city and I highly recommend it; it’s well worth the cost. Breakfast was a little basic – the usual buffet affair but nothing special. 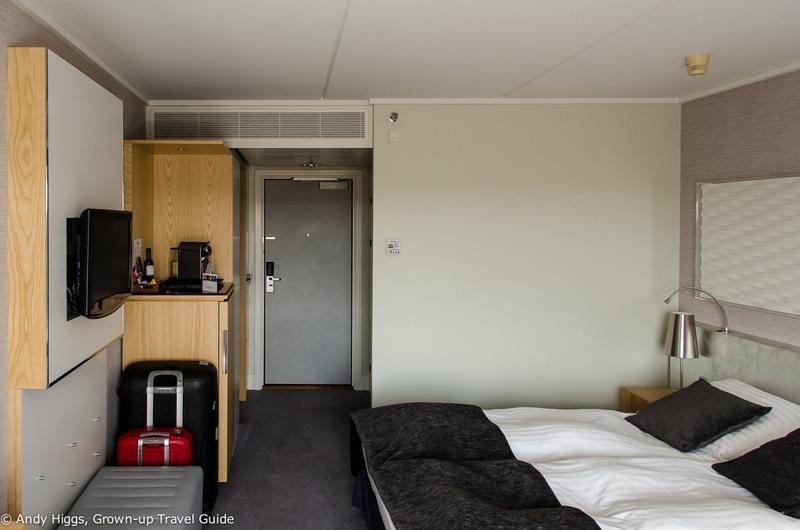 I’m a big fan of hotels that make an effort to stand out and it did feel as if things were running on autopilot here – with all that great local produce in Aarhus I’m sure they could offer something more interesting. But it’s a minor quibble – service was very friendly and although the hotel was very busy the morning I was there the staff coped well. So all in all the Radisson Blu Scandinavia is an excellent place to stay for a break in Aarhus. With very limited time to explore (my timetable called for an alarmingly early start the next day) I tried to make the most of my afternoon in the city. First of all I rode down to the main shopping area where the riverside cafes were packed by folk enjoying the sunshine. I left them to it, passing the cathedral on my way to the harbour area. 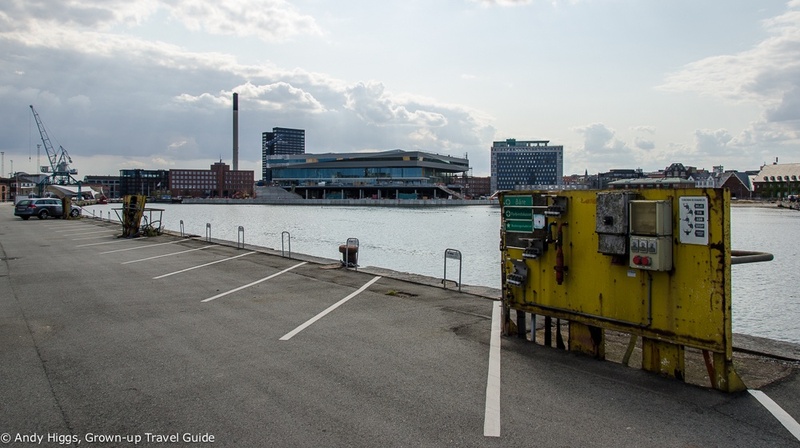 It is this waterfront area that provided my lasting impression of Aarhus, summer 2014 – a city undergoing a huge transformation; a work in progress. 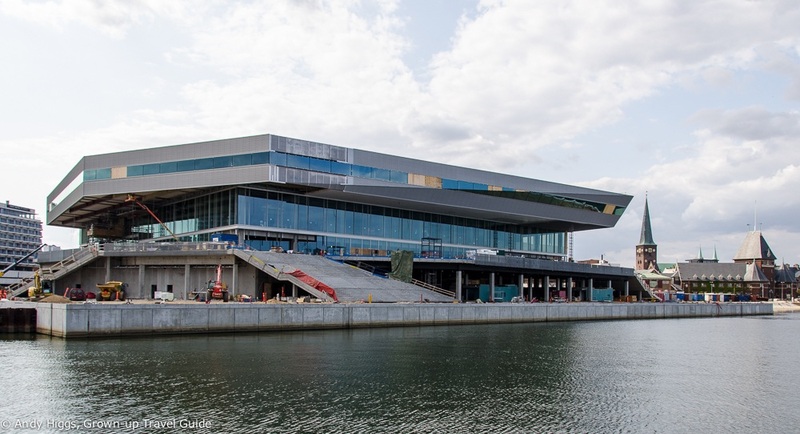 In many ways Aarhus today is at the same point Aarlborg found itself several years ago – in the early stages of a complete makeover. And make no mistake, this is an extreme makeover – the entire harbour area is changing shape; the once-dominant heavy industry of the past is now being joined by striking and shiny residential towers and new public buildings. New media companies have deemed the docks trendy enough to call home and the water will soon be clean enough for a harbour baths here too. Yet the Port of Aarhus is still very much in use despite the changes. It remains Denmark’s largest container port and is large enough to receive cruise ships. 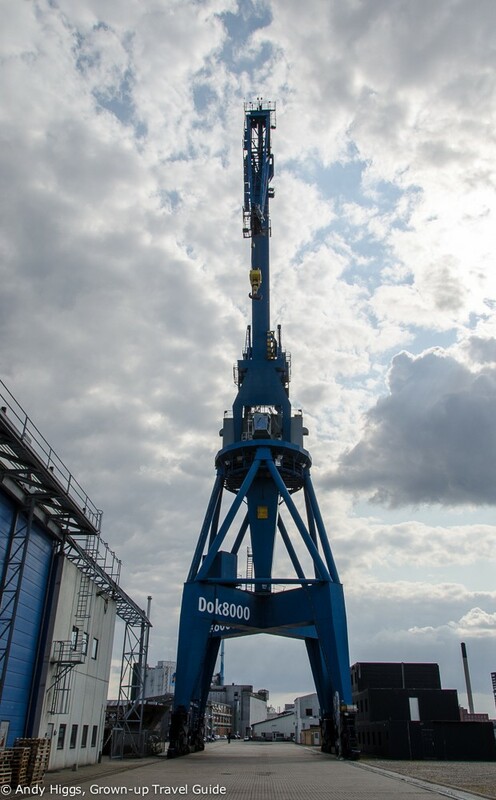 The size of the cranes and other machinery is impressive and it’s fun to explore the docks which are open to all. Plenty of the old warehouses are now occupied by young design companies and internet start-ups. One of the biggest new construction projects in this area is Urban Mediaspace, shown above. 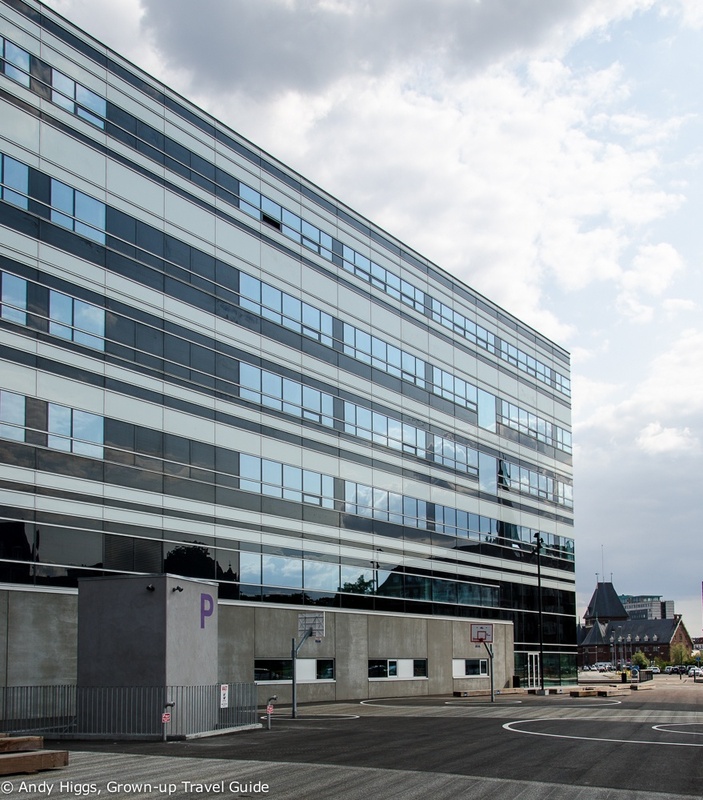 When completed, this will include Dokk1 the new “library and citizens’ services” office with a cinema and cafe and a very cool automatic car park. “What?” I hear you say. Yes, the future is closer than you think. Instead of searching for a space in a gloomy underground car park, you drive into a box, put the hand brake on and get out. Your ride is then transported to the basement and when you get back it will be returned to you within two minutes. Each floor is only about half as high as a regular car park so it’s an efficient use of space, too. But mostly it’s just nifty. I headed north along the waterfront, where new buildings are shooting up on the dockside. Clouds were gathering in the sky and there was one outdoor experience I wanted to enjoy without rain spoiling it. 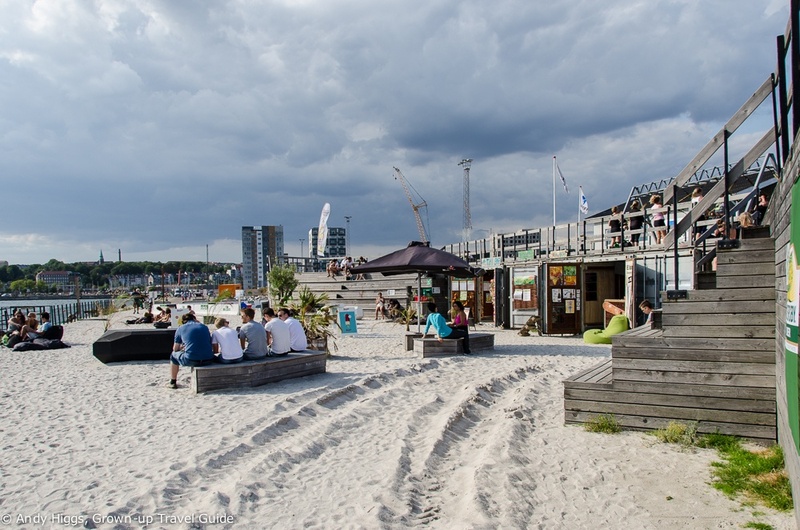 Situated between the old (marina) and the new (sky-scraping modern apartment blocks), Strandbaren has real sand, cold drinks and a very laid-back feel. 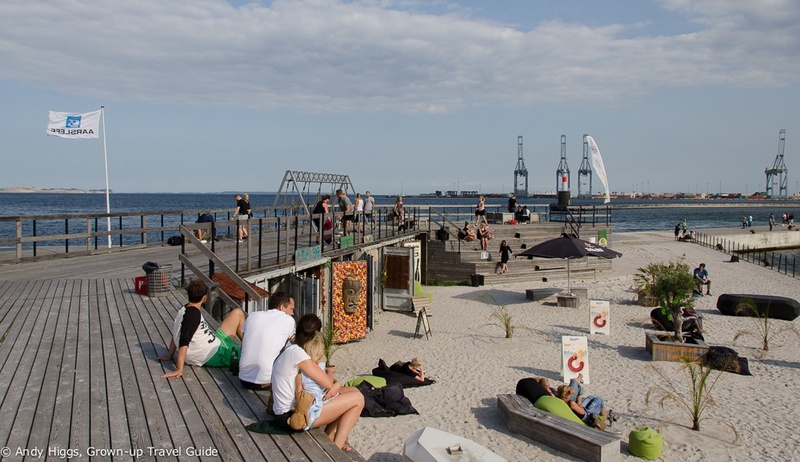 Add good music, stylish design – this is urban Denmark, after all – and you have the ingredients of a great place to chill on a summer’s day. With activities such as beach volleyball, water skiing, kayaking and Zumba classes on Sundays in season you don’t just have to sit there, either. After a Corona and a quick look at the world through rose-tinted spectacles (hoho!) I grabbed my faithful iron steed and sped off for the other side of town in an attempt to make it to the next place on my list before closing time. 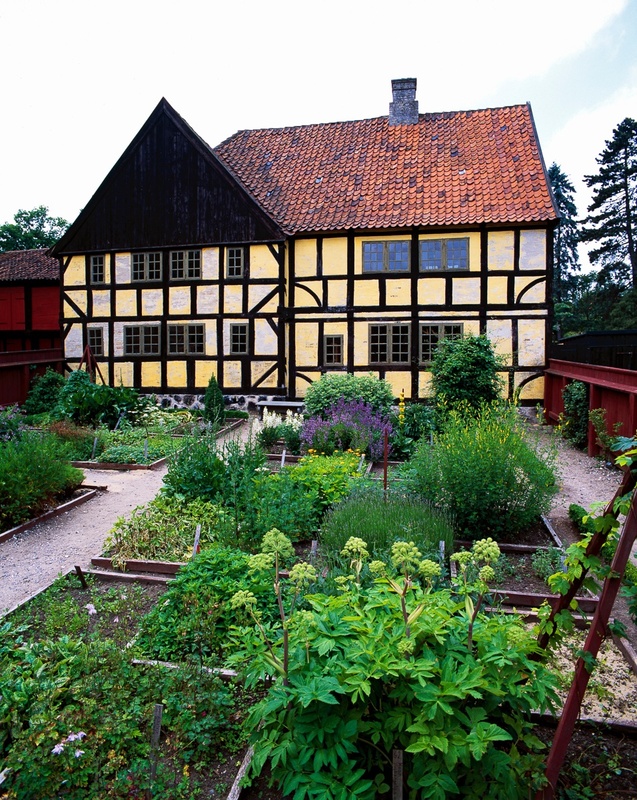 Den Gamle By is one of the biggest tourist attractions in Denmark and is a ‘living museum’ of the kind that they do well in Scandinavia. It was in fact the first open-air museum of urban history and culture in the world and has been running since 1909. 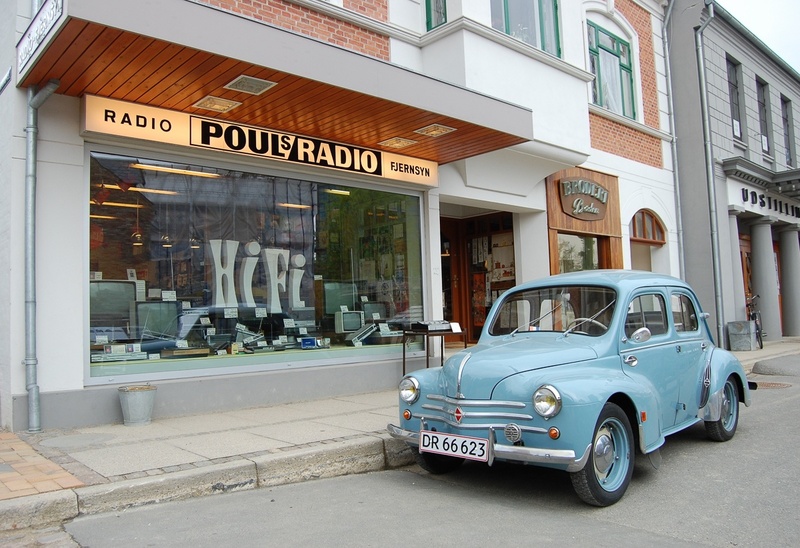 Here you can wander back in time around 75 buildings recreated from Denmark’s history. Using designs from all over the country and with three distinct zones each focusing on a specific period, there’s plenty to see and you really need to set aside half a day. I, of course, had closer to half an hour by the time I’d sweated my way across town and up the hill to the entrance. At least I got a taster though. I missed out on meeting any of the characters who ‘live’ in the town though, which was a shame. I got to look around their homes and workplaces but it would have been good to interact with the people who make this place so special. The three eras represented here are the 1800s, 1920s and the 1970s. It’s an amazing experience to stroll around a market town that could be straight from a Hans Christian Anderson story into a town in 1927 and on to the much more familiar 1970s city. Well, familiar for those of a certain age – others will probably find this part just as foreign as the 19th century fairground. On my short trip I enjoyed the Merchant’s House, Toy Museum and all the 70s stuff the most but am definitely going back to see more. One aspect of my timing worked out well – ARoS is open until 10 pm on Wednesdays. It would have been a real shame to miss out one visiting one of Europe’s largest art museums and a real source of pride for Aarhus. In the event I had plenty of time after cycling from Den Gamle By, and I really enjoyed it. What I liked the most was how accessible the exhibitions were to the widest possible public. You’re not going to like everything, and that’s not the point – but there is so much variation here that you’ll find yourself fascinated, challenged and possibly shocked too. And that sounds fun, right? ARos is a huge cubic building with several large galleries over 9 floors. 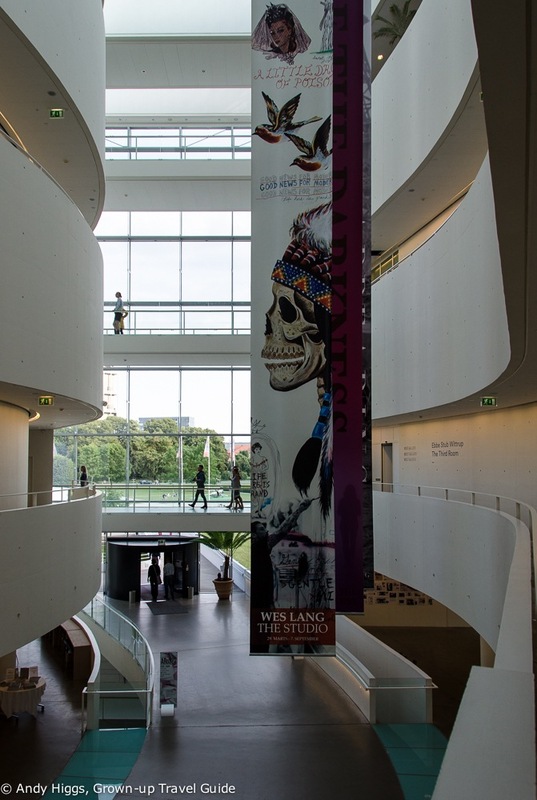 In addition to the museum’s own collections which include work from 1770 and onward there are special exhibitions featuring Danish and international artists. The basement features audiovisual and installation art too. You can’t help but notice the roof, either – this is a later addition and is a piece of art in its own right. 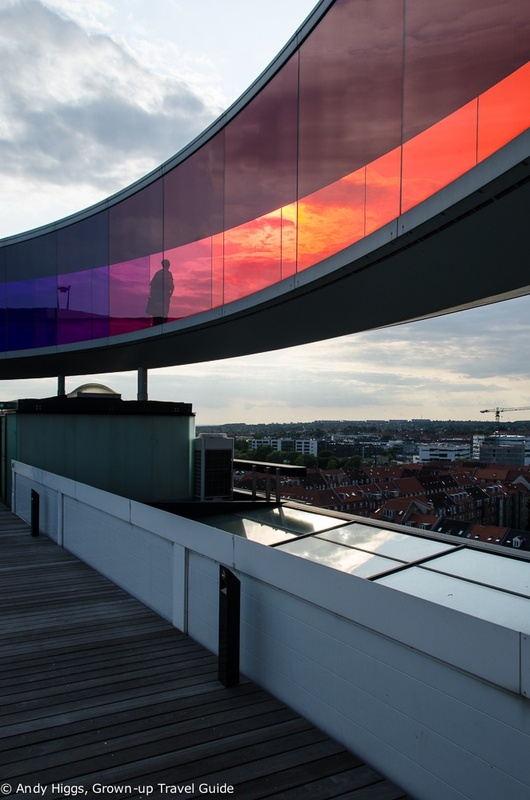 Called “Your Rainbow Panorama”, this circular walkway is by the renowned Danish-Icelandic Olafur Eliasson and completes the overall concept of the building as the link between heaven and hell. That is because the architect who designed the building used Dante’s Divine Comedy as the concept – the various floors represent the journey through the realms of the dead from hell in the basement to paradise at the top. I made for the roof first to walk the 150m path and view the sun setting on Aarhus through a multitude of different colours. It’s a strange experience, but nothing compared to another work by the same artist a few floors lower. “Your atmospheric colour atlas” has gone down in my personal history as one of the most powerful and disorienting experiences I’ve had – certainly in terms of an art installation. Here Eliasson has created a thick mist in a small space where you can barely see your hand in front of your face. He then throws coloured light into the mist by mixing lighting effects, water and fog. Fluorescent green, blue and red allow viewers to perceive unique color spectrum a they move through the enclosed room. It was almost psychedelic in its effect and the feeling of helplessness and claustrophobia followed by relief at finding your way are worth the ticket price alone. I found that looking at the half-tonne, almost 5 metre high figure from different angles produced different emotions, which is surely the artist’s intention. The boy is so lifelike that it’s a little unnerving – you can quite clearly see veins and arteries below the surface of the skin and his eyes are extraordinary. After a very concentrated few hours of exploration and sight-seeing it was time for a couple of chilled beers (well done Radisson for having German Weissbier in the bar!) and a quick shower before dinner. It was already quite late and I was in the mood for something casual, so after a quick surf for ideas I decided upon the highly-rated but informal Memphis Roadhouse a short walk from the hotel. I know, what could be more natural than dinner at an authentic southern barbecue house while visiting Denmark? It does sound a little odd when you put it like that but that’s never stopped me before, now has it? In any case, eating at one of the most popular places in town is what I call good research, no matter the type of chow. That would sell it, right there – but when you taste those tender smoked ribs and fries you’ll understand too. Brooklyn beer on tap and friendly service round out the experience. Another one for the list of places to return to before too long – and one you should make note of too. Despite having an almost comically short stay in Aarhus, I had a lot of fun. I need to get back and explore further, but I can’t help thinking that the best is actually yet to come – the entire city feels like a work in progress with all the redevelopment and renewal going on, and by the time 2017 rolls around I’m sure Aarhus is going to shine for its stint as European City of Culture. At the risk of stirring up rivalry with its smaller ‘neighbour’, I’d have to say that Aalborg has come a little further already but that Aarhus is just as worthy a destination for a short break. Yet more proof that there is a lot more to Denmark than Copenhagen, Aarhus offers an excellent mix of history, culture, art and shopping. 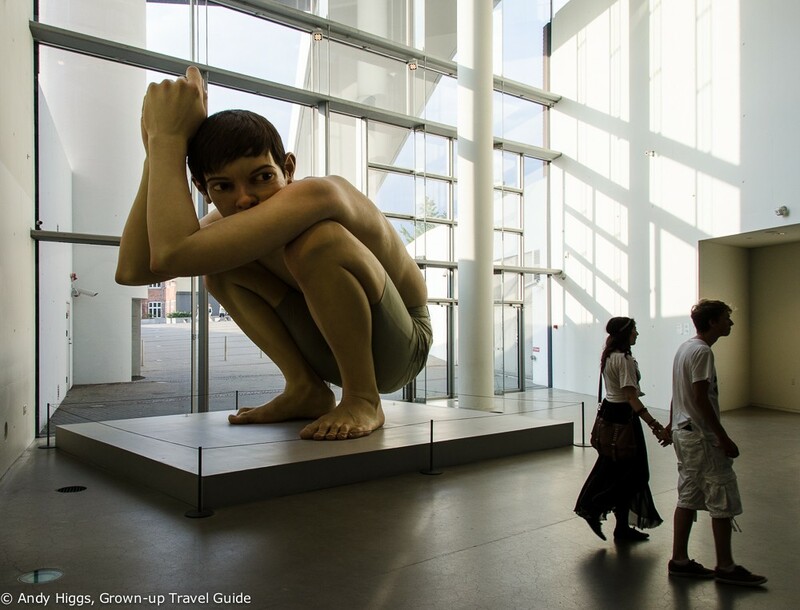 A lively city with more than enough to keep you occupied and an exciting future, Aarhus is understandably gaining an increasing number of fans abroad. Have you been? Let us know what you thought in the comments below!